I don't even know how many times I've apologized over these all too frequent gaps in posts now. I think everyone who follows this blog pretty much knows I was backed up in posts since this little ol' blog began a few years ago and it's always been a game of trying to catch up which obviously never happened, not even once. In my petty defense, if you haven't tried and kept a blog before, you may not be aware how much time even a single post requires - from its planning to writing, picture adding and such. Which goes back to say that I'm backlogged as usual. Still haven't gotten around to the Phuket and Chiang Mai eats from seven months ago, nor the random trips within Korea the last few months, nor even Hong Kong a few months ago. One part of that may have to do with my tendency to try and be as accurate and appealing in my posts as possible. I used to wonder how some bloggers were able to put up 4-5 posts a week but then I realized I have one of those weird controlling tendencies and focused on things like using the best images available, accurate information, and/or more information than probably is needed sometimes. 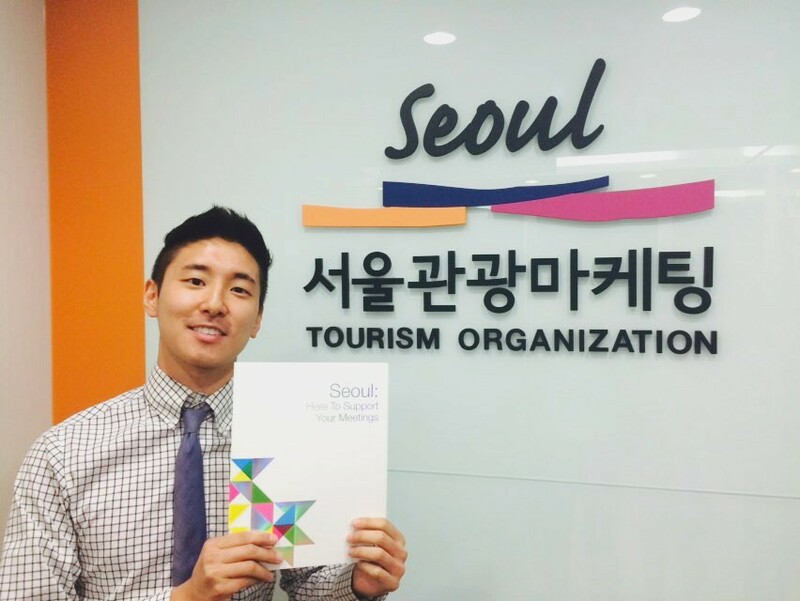 The long story short is though that I have found something that feels right for now and it involves working in the Seoul Tourism Organization. Specifically the work involves marketing Seoul and luring various companies, organizations, international meetings and exhibitions to hold their events, conferences, and whatnot in Seoul city. I came across the position on a whim but the hiring process was so quick that when I received the call I had clinched it, I was on the fence for the longest time. Having been through the whole Korean work culture and playing by the rules of that game, I wasn't sure if this place would be more of the same. 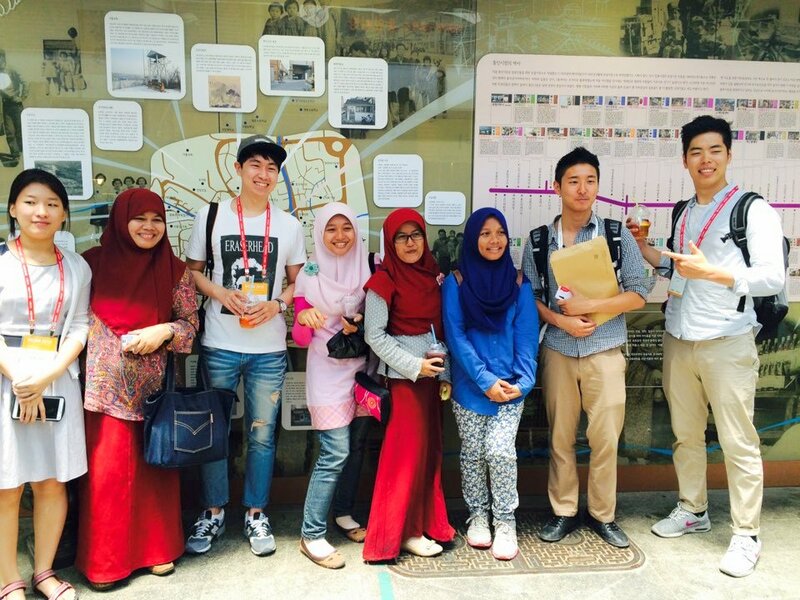 So I decided to give it a week's trial but I was pleasantly surprised - it was fast paced, it was interesting, and it was definitely among the more open minded environments I'd worked in in Seoul. Granted, like any government-related organization, it had its red tape and bureaucracy but there really was ample room for me to do what I needed to do and really make the work that I do my own. I'm appreciating the energy and quick pace of the position especially. I was expecting that my initial week or two would be spent undergoing training and listening to droning speeches about how great the company was and whatnot but instead I really hit the floor running. Apparently they had been searching for a few months now for someone for that position and I also joined just as their busiest period of the year was coming up. It's a position that really requires me to be on my toes as one hour I'm meeting the folks at Four Seasons to talk about their latest hotel, on the phone with the editors of a Chinese travel magazine to collaborate on an upcoming advertorial for Seoul and then out at an expo to interview and collect information to write up a case study. The reasons to be out of the office doesn't stop there thankfully. I've never been good at being cooped up in an office all the time and part of my responsibility is to better promote the network of restaurants, hotels, theaters, etc in Seoul which allows me to try out the latest food offering, catch new musicals and other performances, try out new hotel properties, and whatnot. It keeps me on my toes while allowing me to think and act proactively in networking, strategic marketing, and connecting business demands with offerings. Best of all, I'm not stuck inside a cubicle all day but am required to go out and about often. And one of the perks of dealing with the various venues and sites in Seoul is that I get to check out some cool spots I never even knew existed! I consider myself to be pretty well versed about Seoul city but I've been reminded that there's so much more within the city going on that there's never a shortage of things to see and do. Places like the Korea Furniture Museum or the Seoul Marina Yacht, as just a few examples, were all places I’ve always wanted to go but haven’t had the opportunity to while I’ve lived here. I can definitely cross those off the check list. Finding out more and visiting these sweet spots is a ton of fun and enables me to help me market this ol’ city better to individuals and groups. Going out to all these different meetings, exhibitions, and conventions also is a lot of fun to learn more about so many different groups, their mission, and people from all parts of the world. Panama, Malawi, Ireland, Poland… these are just some of the countries from which some of the folks I've met hail from in the last few weeks! I’m trying to readjust my weekly schedule to a time frame of sorts but it’s not easy as my weekly schedule itself is so unpredictable with even evenings and weeknights sometimes occupied. But I’m trying to set aside an hour or two on weekends to do a post so my hope (no guarantee) is to get back to a twice-weekly posting schedule of sorts. Unfortunately, this may mean that to fill this self-set quota that I need to cut down on pictures or words. Or perhaps I won’t. I’ll need to first get to writing posts again to know for certain. A belated congrats on your new gig. Sounds like a fantastic job that allows you to go out and about and meeting new people. Looking forward to your IG posts on good eats! read some your blog entries last night and very into the Korean food part. I usualy stay Gangnam area and many dining places do not serve solo tourist. I heard galbi of Real Korean Beef is superb, but over eight times trip in KOREA I havent had one. 2. From an economic point of the restaurant's perspective, the cost of labor, side dishes, charcoal, etc, for one person as opposed to a group is far less profitable. Add to that most barbecue tables are meant for 4-6 people so if a restaurant with 15 tables that sits 4-6 people each is only seating 1 person at each table and each person is taking up to an hour to eat (since you need to cook the meat and such) you can see why restaurants would be hard pressed from an economic standpoint to take in solo diners. That being said, there's def been an increasing number of barbecue restaurants that have opened up geared towards solo diners. http://tm.koreaherald.com/view.php?ud=20130308000722 If you search "solo restaurants seoul" you'll def find some spots that should serve up pretty good eats for solo diners! Stewart, something must be done with the Noryangjin " Seafood " Market. I noticed that the way , seafood being sold are being " structured " to sell targeted at certain nationality. I looked at the live seafood there from one end to the other end , the species are all the same from the first row to the second row. To me , a seafood market should not be entirely lookalike in the species offered although it is understandable that season may affect what are available. For disclosure , I did not check the third row and so forth, I did noticed those third row onwards are selling fresh chilled, thawed out seafood, dried or processed ones. I have been to one of the seafood market in the neighbouring country ( outside Japan), when it comes to fish market, there should be diversification in species offered. 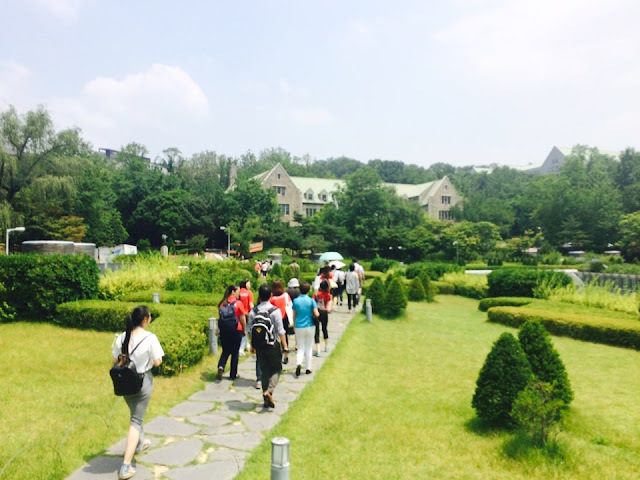 I did not see that in Noryangjin. In a typical stall, I could see the top tier fishes are knifejaw fish or Ishidai, red bream ( madai) and strangely enough grouper species !, the 2nd tier are Korean black rock fish ( chopi bolrak) , striped mullet ( Song-O) and the 3rd tier are mainly and the majority Korean flounder ( kirum- gajami). I know Korean fisheries caught more varieties than this, not to mention Groupers are found in the Noryangjin really baffled me. Perhaps the species presented there were already geared towards certain market. Not to mention, the atmosphere already charged with presence of language translators. I did made the purchase with one of the stall, without the presence of translator but though I did not suffer any so called over charging situation there, I felt something did not appear that make Noryangjin as an authentic Fish market, left there feeling unsatisfied. Today I went to Jagalchi fish market in Busan , I was troubled to see similarities. Dont get me wrong, whenever I go , I am glad to make certain contribution to the local economy, but I have to say something missing in the Noryangjin fish market which unfortunately might betray what a fish market should be. Anyway, I enjoyed reading your blog and it did help me in my trip in south Korea..
Hi Stewart, that sounds like a very fun gig, congratulations on the job. Apologies for the belated congrats, I switched off the internet in June for a couple of months. I also 'archived' all my email and in process mangled something, and therefore lost your email address. I just wanted to let you know that the book on Korean food (and travel and many other Korean things) is now written and I am in the process of editing it before my publisher gets a look at it. I may (I hope) come back to Korea again in the Spring. If I do, it'd be great to meet up. FYI, the book is not likely to see the light of day until the winter 2017. Long road of editing/rewriting and wotnot to get through between now and then. All the best, and sorry I've lost your email... but you know mine (I hope).